The University of Minnesota Graduate School plays an integral role in supporting the research-based graduate programs, scholars, and students at the University of Minnesota. They offer 170+ distinct programs across two different campuses. However, there was a misconception of who the Graduate School is and what they do—both internally and externally. Olive embarked on a year-long partnership to refine the Graduate School’s brand messaging and visual identity. Using qualitative stakeholder research and user focus groups, Olive identified four key audiences and defined journey maps to guide the website UX strategy and content development. 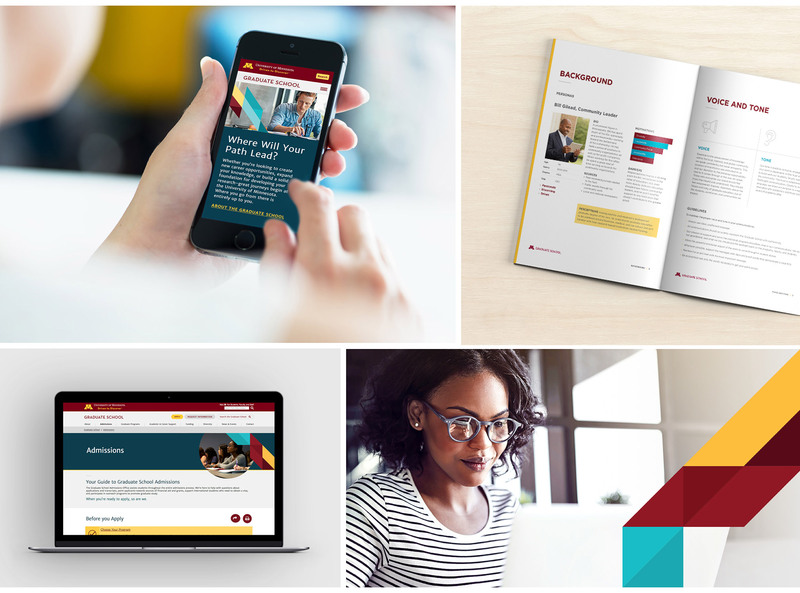 These strategic tools lead to a website that reflected their new direction to better serve their audiences and a simplified roadmap for the Graduate School team to target their marketing efforts. Created new key messaging targeted at each of the Graduate School’s core audiences. Clarified the Graduate School’s position, purpose, and offerings. Conducted user testing exercises to gain objective insights about core users. 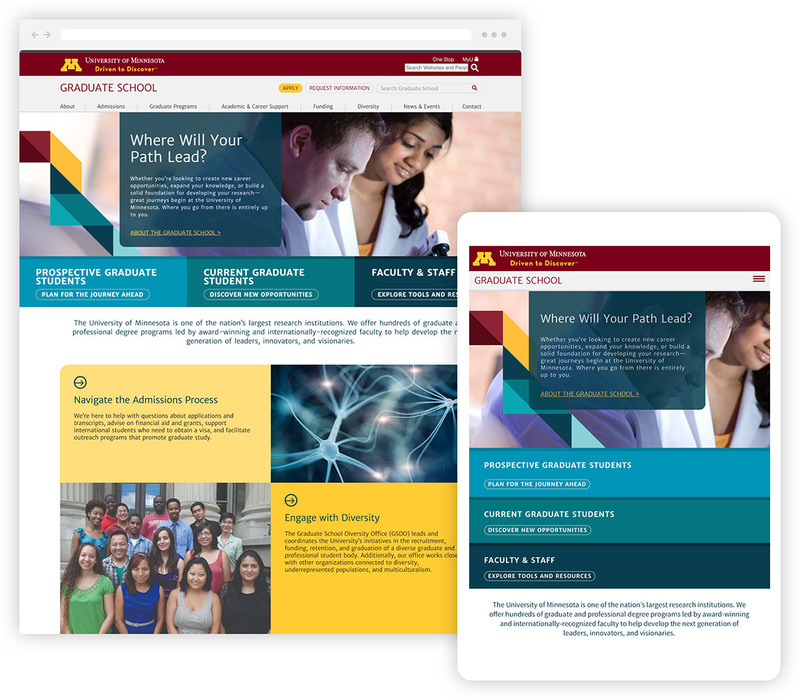 Reduced the size of the Graduate School website by nearly 70% and created a targeted, user-centric site experience.